Ford will make an all-electric F-Series pickup truck, the automaker has confirmed, giving Tesla’s upcoming pickup EV an unexpected challenger. 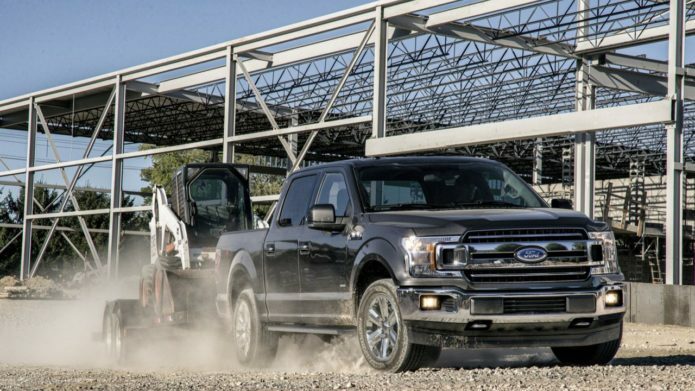 Sales of F-Series models contribute hugely to Ford’s bottom line, and the automaker recently announced it would be further shifting investment away from traditional cars and more into pickups, SUVs, crossovers, and other utilities. Best-known of those utility models is the Ford F-150. Long America’s best-selling truck, despite the segment’s reputation for conservatism it has also been a test-bed for the automaker’s new technologies. Back in 2015, when Ford launched the thirteenth-generation F-Series, it took the dramatic step of shifting to an aluminum-intensive design to significantly reduce weight and improve economy.